The process of getting implants requires a number of visits over 3-6 months. Impressions (molds) are taken of the jaw and teeth to make a surgical guide. A CT scan is then ordered to determine bone, gum tissue, and spacing available on the computer in 3-D (3-D Guided Implants). The surgical guide is used to accurately place the implant. While the area is numb, the implant will be surgically placed into the bone and allowed to heal and integrate itself onto the bone for up to six months. Depending on the type of implant, a second surgery may be required in order to place the “post” that will hold the artificial tooth in place. With other implants the post and anchor are already attached and placed at the same time. 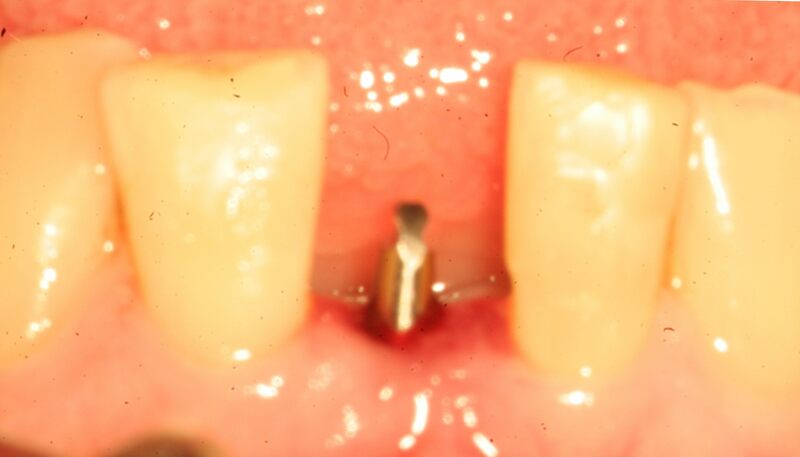 Virtually all implants are placed "Flaplessly," (without flapping open your gums) to minimize trauma. They do not require stitches because of the use of the 3-D imaging of the CT scan and surgical guide.